Pete North Politics Blog: The year we took back what was ours! 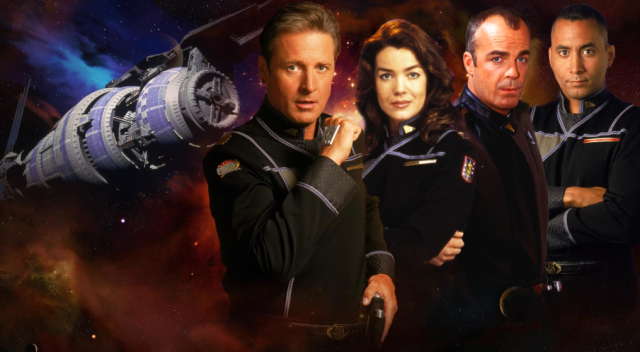 Yesterday I caused some considerable friction by claiming Babylon 5 was the best TV show ever made. Some people wrongly assert that it isn't. I don't know what is wrong with them but clearly they were subject to terrible parenting. The series is still highly relevant. If you can get past the weak acting and the cheesy format, it's one of the most plot rich shows ever aired. It's why it has aged so well. Some of the dialogue is pure poetry. The basic premise is that the galaxy is governed by two competing elder races who largely operate in secret. The Vorlons and the Shadows. The Shadows believe in evolution through war and conflict and use their agents to get younger races to fight each other. They come out of hiding every thousand years to start a galaxy wide conflict. The Vorlons on the other hand believe in order. They act as guardians, quietly controlling and shaping the evolution of planets, taking on the form of various deities through history. Though the Vorlons have the power to go to war against the Shadows and probably wipe them out with one of their planet killer ships, they never do. They instead manipulate the younger races to fight the Shadows themselves, feeding them the necessary technology to do so. The first two seasons are slow burners as it establishes the insidious machinations of the Shadows, while the Vorlons, in league with the command staff of Babylon 5, build up a war fleet to take a stand against them. Captain Sheridan, however, becomes aware of the supervisory dynamic of the stand off between the ancient aliens. He then tricks them into gathering all of their forces in one sector so that they finally fight each other. At this point, through a telepathic link, Sheridan is brought before the Vorlons and told to pick a side. He refuses and by transmitting the encounter to the alliance fleet, they are then united in the rejection of both the Vorlons and the Shadows and they are ordered to leave the galaxy so the younger races can take over, breaking the cycle of war. As a political allegory Babylon 5 works on many levels The Vorlons being the authoritarian left and the Shadows being the free market right. But it also works for Brexit. 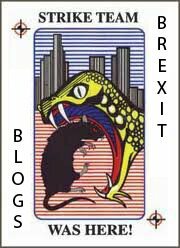 On the one hand we have the EU (the Vorlons) who want to impose their order, acting as a patriarch over the child races, protecting them from their folly, while on the other we have the ERG "Free trade" Tories in league with US corporates plotting and scheming to create chaos (the Shadows). Either side you pick, the chances are you're being manipulated by forces with an agenda and you're being used. The dynamic here is much the same. We are bombarded with media featuring the two extremes of the debate, increasingly corralled into one or other corner, often unaware of who is pulling the strings. Ancient squabbles on a repeat cycle through history, where time and again nothing is ever resolved and unless we choose a different path we are doomed to repeat history. And, of course, in my own narcissistic fantasy I am the Captain Sheridan figure urging people to think for themselves and to reject the narratives of both sides and tell both of these malign influences to "get the hell out of our galaxy!". There is no reason why we can't have advanced intergovernmental cooperation on a regional and global level without the dead hand of supranationalism but all the same, we who voted to leave don't have to follow the stunted and obsolete ideas of the Tory right either. We can reject both and find a new way for ourselves. In many respects, by rejecting the Vorlons and the Shadows, the Sheridan led fleet were "taking back control" - with a subtext of being able to choose their own destiny. Were I not presently catatonic with Brexit fatigue I could really go to town on this analogy but then anyone who hasn't seen Babylon 5 is probably still none the wiser. Those sad, deprived, morally deficient people will just have to fester in their own galactic ignorance believing something like Breaking Bad is the best TV show ever - even though Bryan Cranston was a captain of one of the White Stars. Some people just can't be helped.